I participated in a campaign on behalf of Mom Central Consulting for Reebok. 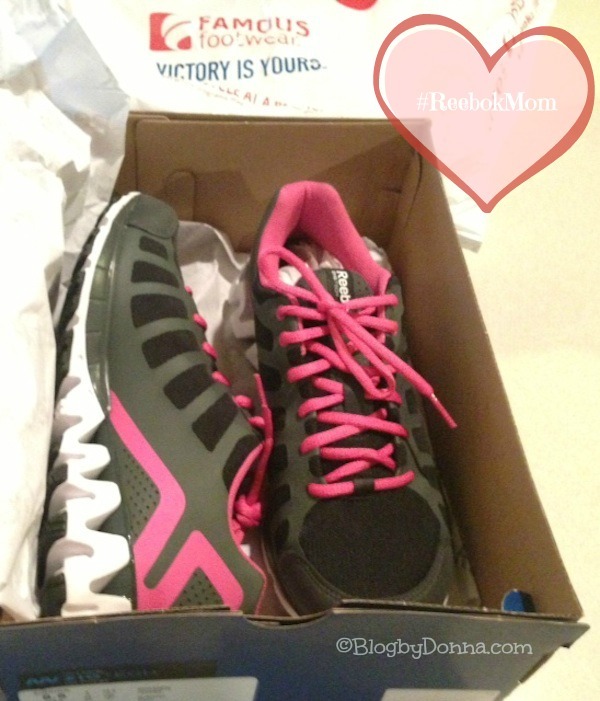 I received a Famous Footwear gift card to purchase a pair of Reebok shoes to facilitate my review and to thank me for participating…. It has been busy, busy, busy, in our home this past week with my son’s first day in 5th grade on Monday. What a bittersweet day. After meeting his teacher (who is amazing) I am feeling somewhat better about this year. It being his last year in elementary school makes me incredibly sad, though. I’ve also started a new weight loss / fitness program, because I really want to be in the best shape I can be in for my family. I think that could be contributing to my mood over this school year, too. Hey, mama loves to eat, and the calorie deficit, well… it isn’t pretty. 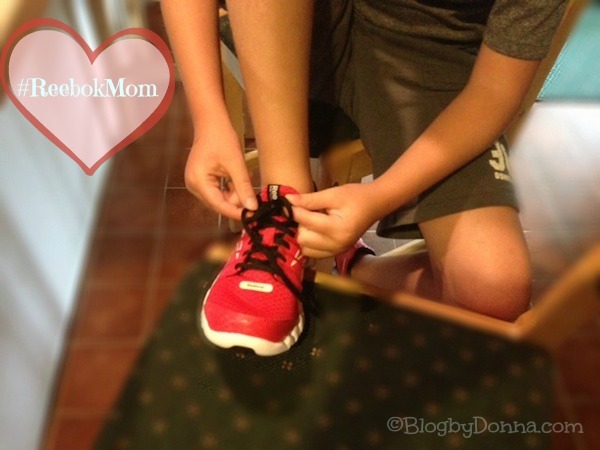 Famous Footwear and Reebok realizes all the things we moms are going through in preparing our kids for back-to-school and wanted to give us moms our own back to school reward. 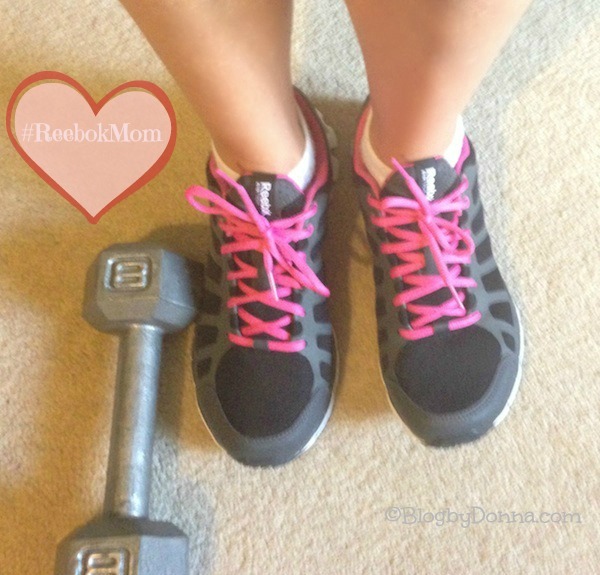 I’m a proud #ReebokMom. I checked out Famous Footwear online, since I’ve never ordered from them before to get an idea of what they had to offer, but I’ve never ordered shoes online before… I just feel like I need to try them on. Plus, I needed to get my son a pair of shoes for back-to-school, too. And he had to be able to pick them out himself, not to mention, he had to try his on. So off to our local Famous Footwear we went. I would be remiss if I didn’t tell you just how much I love shoes. Whether it’s a pair of cute sandals, pumps, or running shoes, I get all giddy when I enter a shoe store. When we went into Famous Footwear my son went to look for his shoes while I perused the women’s aisles. My only disappointment was with the variety of choices. I saw several cute pairs online, but in-store, there were only 3 choices (I say three, but there were really only one choice for me) — two pair of plain white Reebok and the Reebok Zig Kick shoes in black/pink/white. They fit me perfectly. I’ve worn them a dozen or more times so far and they are very comfortable. While I was trying my Reeboks on in the store, my son comes over all excited because he found THE pair of shoes for back-to-school. He just had to have them… a pair of red Reebok Zig Kicks. True story. What can I say, the apple doesn’t fall far from the tree. When I was looking at Famous Footwear online, I signed up for a Famous Footwear Rewards card and by doing so was able to print out a 20% off coupon. It was nice handing the cashier my Famous Footwear gift card and 20% coupon (not to mention my shoes were on sale for $69.99), and even nicer hearing my total for two pairs of Reebok athletic shoes was $31. Nice! After almost three weeks of wearing my Zig Kicks I can tell you my feet are happy with my choice. These aren’t the first pair of Reeboks I’ve owned, but it had been awhile. I won’t wait so long next time. If you’re looking for a good pair of running shoes, I highly recommend the Reebok Zig Kick, check out my review on the Famous Footwear site. I really appreciate that Famous Footwear wants moms to be treated special during this back-to-school season. After all, it is usually moms that make back to school happen. I think this is great! It’s the little things that help us moms keep our sanity during the school year. I love shoes too, so I think I will be going out and getting ME a new pair really soon! I love shopping at Famous Footwear. Earlier this summer I picked up 3 pairs of shoes for myself and a pair for my husband and we didn’t spend a whole lot at all. I need to buy a new pair of walking shoes myself. I normally buy Nike but after reading your review I just might go by Famous Footwear and pick up a pair of Reebok, especially with the savings, that’s my favorite part :)! If you don’t have a Famous Footwear rewards card, sign up for one (you can do it online) and get an extra 20% off. Plus you can always find shoes on sale at Famous Footwear, too. Those are really nice, Donna! I love the colors. Pink and black looks so good together. Those are so cute!! I love running shoes. Such cute shoes! We love Reebok too! wow $31 for two pairs of shoes?! that’s an awesome deal. I need to head down to Famous Footwear asap before school starts for my daughter. Those are really neat running shoes. I need a new pair – my feet hurt every morning when I wake up. Those are great looking shoes. I like the pop of pink! I love shopping for athletic shoes. I’m trying out orthaheel because I’ve been having problems with Planter Fasciitas. Love the shoes you went with! I’ve been coveting a pair of those Reeboks! They are super cute! It’s been a while since I bought a pair of Reeboks, but I’m really loving the look of these. Famous Footwear usually has such a great selection too, I’ll have to stop in there! I absolutely love my reeboks! Those look amazing and super comfortable. Those are not only great shoes, they are adorable too! Those are really cute. I love that running shoes are becoming cuter and cuter in style. Wow a rewards card and a coupon how much better can it get and Reebok is the only one that carries a width for my fat feet that are comfy. Every year I struggle with the shoe thing with the kids but now I am going straight to Reebok those kicks for your son are awesome! I love your new shoes! Those shoes are SO. CUTE. Neat shoes! They look really comfy! Will have to see if they have them in my size. These are the cutest shoes! I love the neon pink! I am in the same boat as you, I am going to start working out and looking for a new pair of kicks. I will keep these Reebok’s in mind when while I’m on the search. Thanks for the review. 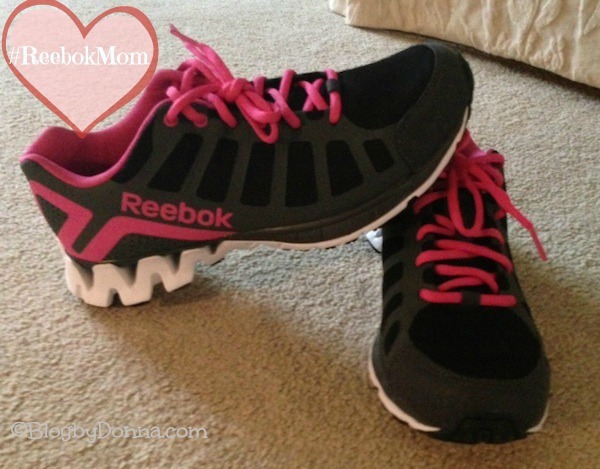 I need some new workout shoes so I was so glad to read your review! I’m going to go to the store and check them out! Thanks so much for the review!